In the wake of the recent GSA scandal, the agency’s inspector general, Brian Miller, has reported a significant increase in the number of fraud hotline calls since news broke. The lavish 2010 Las Vegas conference is just the tip of the iceberg for GSA officials though. 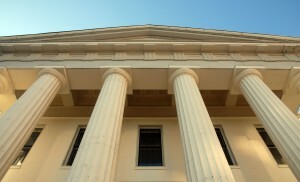 From October 2010 to September 2011, 64 prosecutions took place against individuals who stole from GSA in the form of either fraud, waste, or abuse. The largest case to date, involves inflated information technology contracts that cost our government tens of millions of dollars. The inspector general reports that it has recouped $376 million in the last fiscal year through convictions and settlements but it is impossible to know just how much money is lost each year because of fraud. The Homeland Security and Governmental Affairs committee led by Senator Joe Lieberman, will ask Miller to investigate all of the GSA’s 11 regions not just Region 9 which was responsible for organizing the Las Vegas conference which totaled $823,000 and included sushi, in-room parties, and a mind reader; all on the government’s dime aka taxpayers’ dollars. News also broke last week regarding the Secret Service and prostitution in Columbia while on business. With the two scandals breaking around the same time, we’re all left wondering, is the government a breeding ground for fraud, waste, and abuse? Has the government created a culture of corruption? You tell me. Hi a massive thanks for that Great information.I will be bookmarking your website for future research.continue this good materialwebsite. It is also high because of fraud and abuse in the gnmernveot run side. The private sector makes up for Government shortages. Last year alone in D.C. The gnmernveot paid medicaid reciepients for over 400,000 trips or rides to the Doctor. For 8000 medicaid reciepients in D.C.that means they went to the doctor an average of 52 times each. What was done about this fraud? NOTHING. That is just one city one tiny part, imagine the amount of fraud throughout the system in 50 States. And we paid for it!